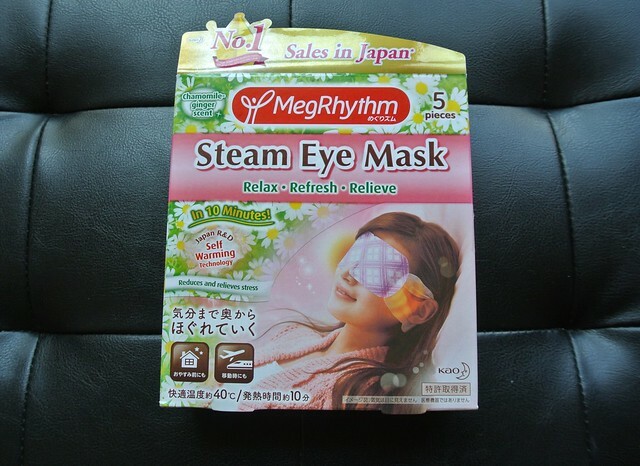 This steam eye mask is a health and beauty product from Japan and is rated as No. 1 sales in Japan. They have different scents available - Chamomile-ginger, Yuzu, Lavender-sage, Fresh rose and unscented. 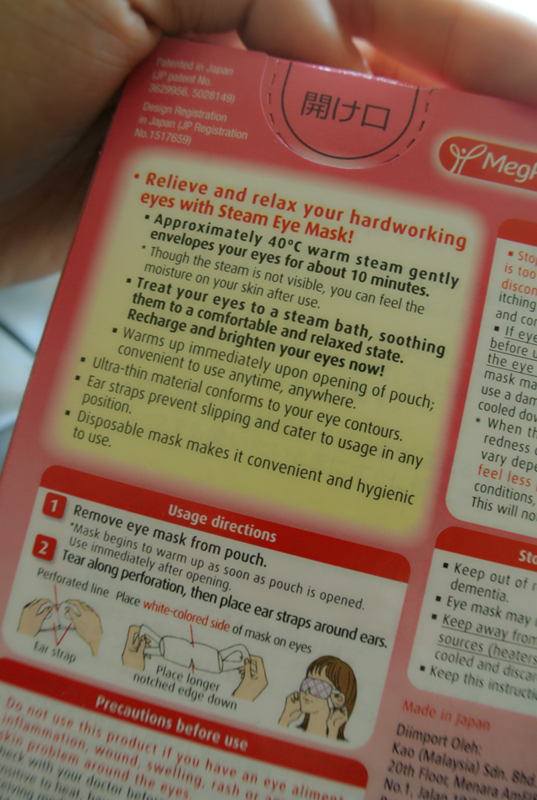 Like the usage directions stated on each box, the eye mask warms up after removing from the pouch! 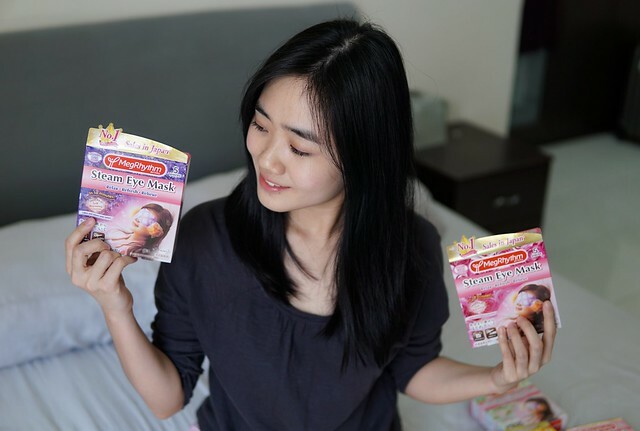 Upon each use, just open the packaging and place the eye mask on the eyes. 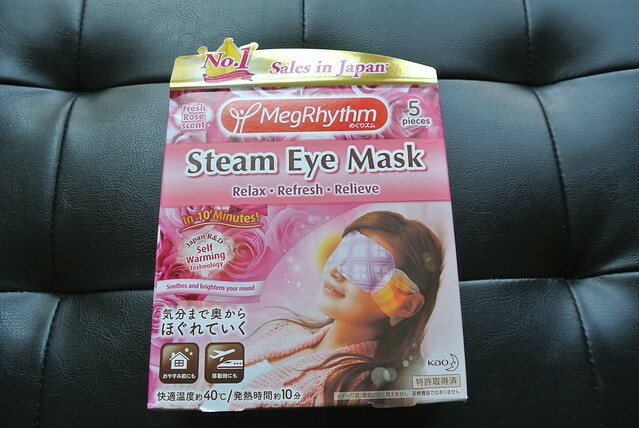 Relax your eyes for 10 mins with the steam that heated up automatically upon opening. 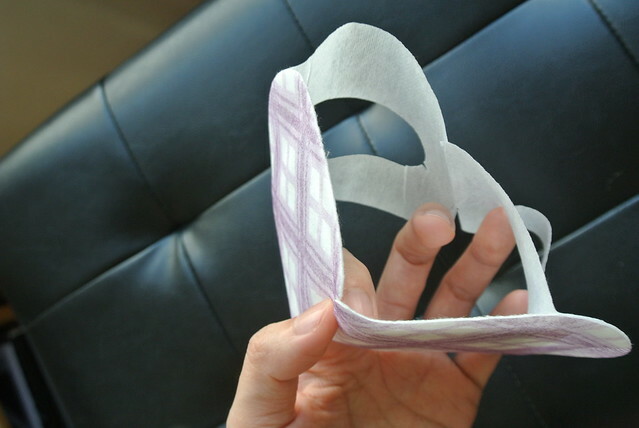 This is how the eye mask looks like! The white part is the ear straps. My favourite scents are Lavender-sage and Fresh rose. 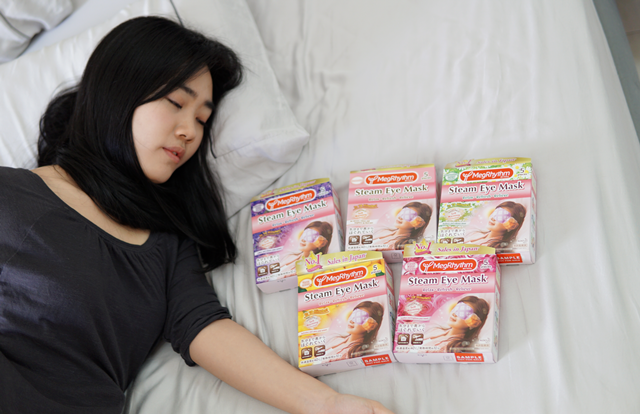 Lavender helps in combating with insomnia and fresh rose scent is just rosy scent that every girl would love. 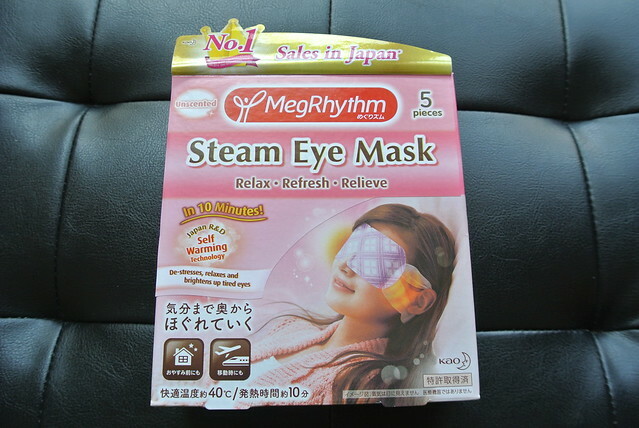 I guess the eye mask really warmed up to 40 °C, it really feels warm on the eye area! 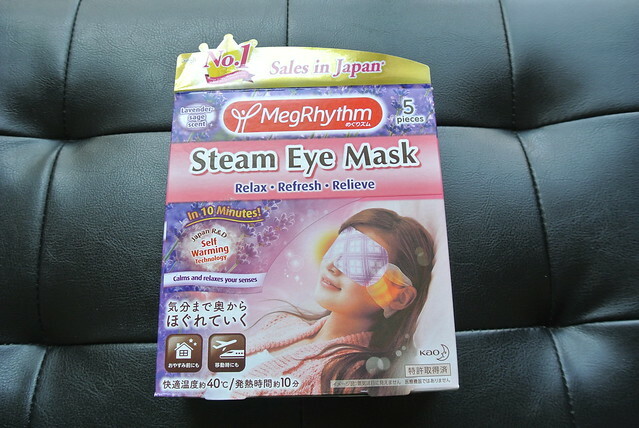 I could really feel the steam emitted from the eye mask, it soothes the eyes after a long tiring working day, good for those who are working on computers a lot. 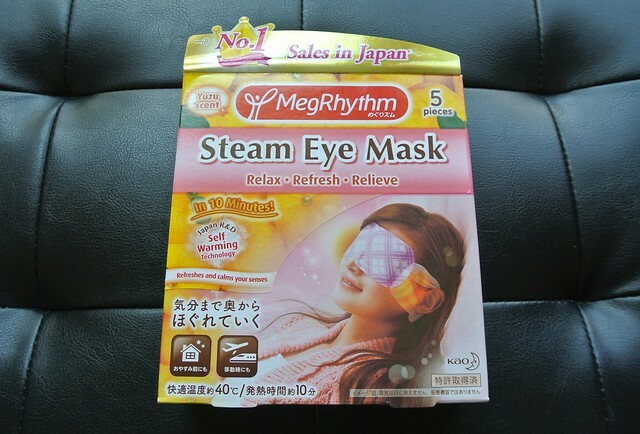 A very good product for tired eyes, and those who suffers from working stress and insomnia. 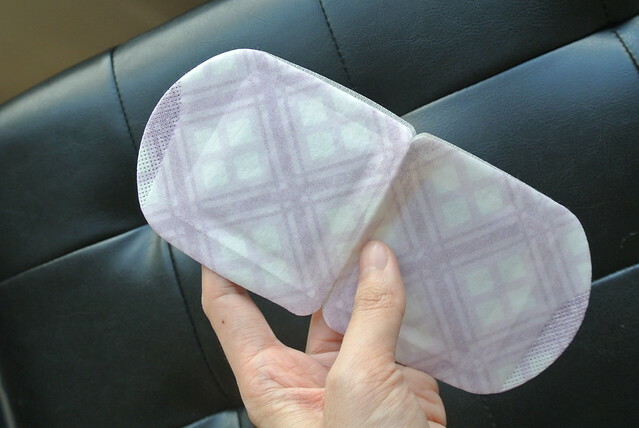 This easily disposable eye mask could be used when travelling too! 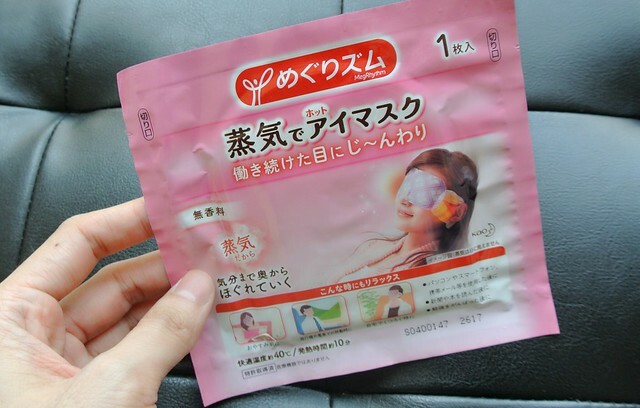 It could acts as both eye pampering mask and sleeping eye mask on a long journey. 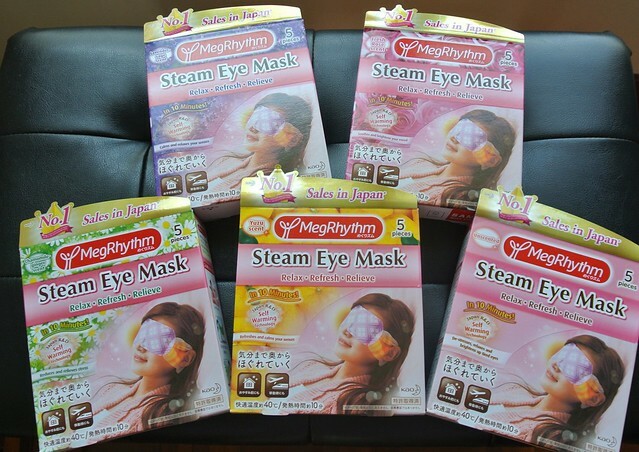 KAO Megrhythm Steam Eye Mask are available on major e-commerce sites like Lmall, Lazada, and 11street. 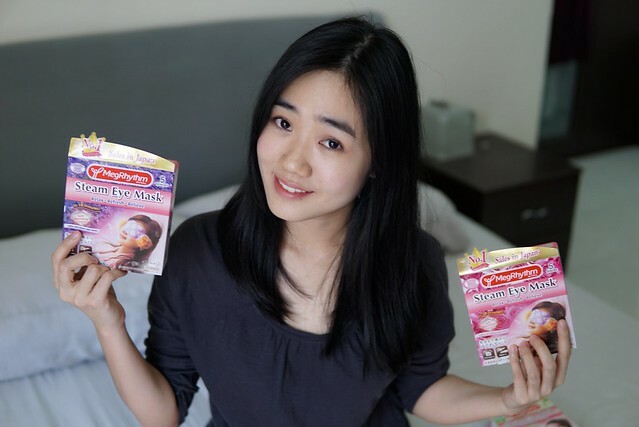 You could also purchase them in store at Aeon Wellness and Watsons nationwide. For more information, you may visit their FB page - https://www.facebook.com/megrhythm.my. 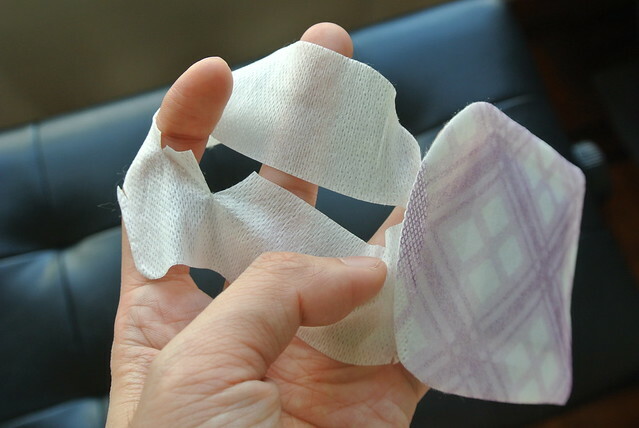 wah that is nice. at home face sauna.